Who said snacks can't be nutritious and taste great too! I’d like to share one of my favourites with you. 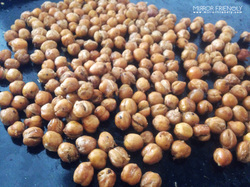 It consists of roasted chickpeas, oil, garlic, and cayenne pepper. That's it! They are a good source of fibre (in other words they help stabilize blood sugar and keep you feeling fuller longer), and contain protein (12 grams of protein per cup – note however that it’s not a complete protein) and iron. 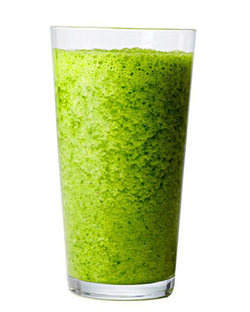 They are also a good source of electrolytes as they contain a good balance of potassium and magnesium within. This is a great recipe to make when you're strapped for time and need to cook something tasty, quick, and nutritious. It’s super simple so you don’t have to be a wizard in the kitchen to make this. It’s a very forgiving recipe so feel free to eliminate an ingredient or change the proportions or add something to the mix. 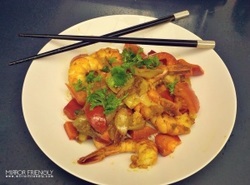 This recipe includes coconut oil, a healthy fat, shrimp, a lean protein, as well as several health promoting spices like curry, ginger root and cumin. These spices are known to improve immunity, and reduce inflammation. You can eat on its own or served over quinoa or brown rice..